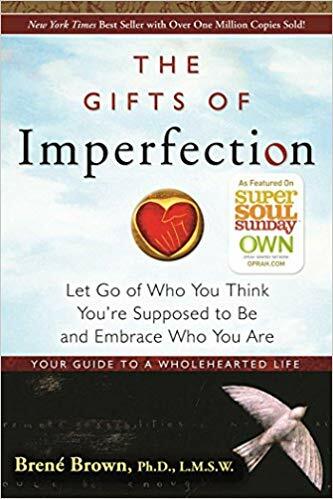 The Gifts of Imperfection isn’t a guidebook on how to achieve happiness; rather, it is a book about all the things that get in the way of true, lasting happiness, joy, and belonging. It explores the concepts of courage, compassion, and connection to understand the reasons behind perfectionism and insecurity. Most importantly, it promotes self-acceptance and self-love, and it will teach you how to be vulnerable and strong at the same time. We have compiled all the advice in this book into a series of habits you can practice from the comfort of your own home! Pick one or two and start practicing them today—you’ll notice an immediate positive shift toward happiness. Dr. Brené Brown is a research professor at the University of Houston, where she holds the Huffington Foundation–Brené Brown Endowed Chair at The Graduate College of Social Work. She has spent the past two decades studying courage, vulnerability, shame, and empathy and is the author of four #1 New York Times best-sellers. Brené’s TED talk, “The Power of Vulnerability,” is one of the top five most-viewed TED talks in the world, with more than 35 million views. When looking for compassion from others, choose the right people to connect with. Cultivate creativity and meaning in your work.